Several months ago, I began investigating the idea of minimalism. (You can read more about it here.) Not too long ago, the minimalist blog I read, Miss Minimalist, brought up a topic I was thinking about constantly: acquiring things to become a minimalist. 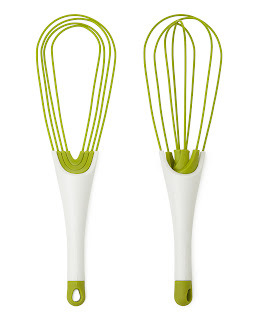 I was on Pinterest and saw this set of kitchen utensils. It seemed brilliant and so I poked around on the Joseph Joseph site and found these bowls. I found some other cool items and thought, Wow, I wish I'd known about this stuff before I got married. There are a lot of products out there these days that could help people to be more minimalistic (is that a word? ), but I think I have to say: buying something new so that you can replace something you already have with something supposedly more multifunctional will probably ultimately lead you down a road of consumerism again. 1. The iPhone/iPad/iPod Touch/Kindle/Nook, etc. If thought of properly, all of these items can lead to a more minimalist lifestyle. We're talking no physical books, no day-planners, no photo albums, much less paper, and more. Think of all the data you can keep on there. 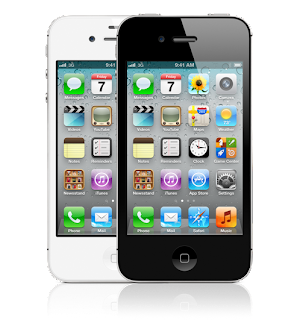 For instance, I use my husband's Kindle and the Kindle app on my iPod Touch for recipes. When I find a recipe online that I like, I simply copy and paste into a word document and then e-mail it to the Kindle account. I can set the Kindle or iPod up in the kitchen and cook or bake away. Kindles can also load .pdf files which is great for recipes you might have already and can scan--it preserves the handwriting of your grandmother on her tomato decorated recipe card but takes up less space. 2. 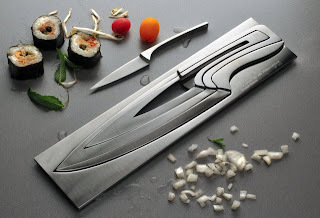 Deglon Meeting Knife Set. How cool are they? But, alas, I already have a set of knives. In fact, I probably have more than I need. 3. 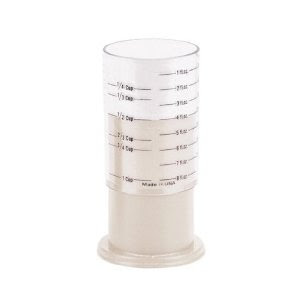 Wonder Cup Adjustable Measuring Cup. It does dry, it does liquid, it does metric and standard! This was exactly what I realized I need when we moved to Germany. Our first flat had a scale (this is how most Europeans measure) and we converted everything with a lot of work. This flat did not and while I don't ever measure when I cook (mostly), it made baking American recipes impossible. My husband's mother was good enough to send hers over to us with my parents when they visited. 5. 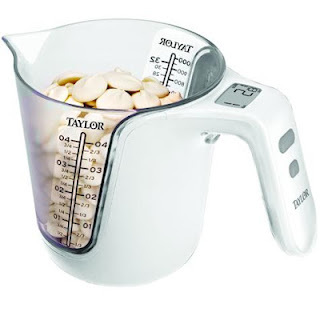 Taylor Measuring Cup. It's a measuring cup and scale--amazing! I would be willing to have two measuring cups maybe if it was the two I've mentioned. What a great way for the perfectionist cooks and bakers to be sure their measurements are exactly right. Disclaimer: I am not advertising for these products and have not used any besides the items listed in number one. If you choose to pin any of these products, please click on the photo and follow it to the site where it is sold, rather than pinning directly from my blog. Thank you. Have you seen any minimalist products? Do you own any? What do you think about replacing items with newer, more multifunctional items?